I have joined again with some really creative bloggers to do a fun crafty teacher blog hop! 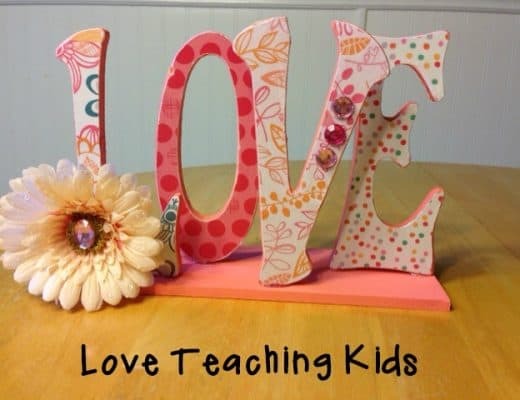 Melissa over at Teacher Treasure Hunter came us with the great creative teacher craft giveaway. I love looking on Pinterest for fun crafts. The craft that I made for my classroom and for the giveaway was inspired by a pin I found. 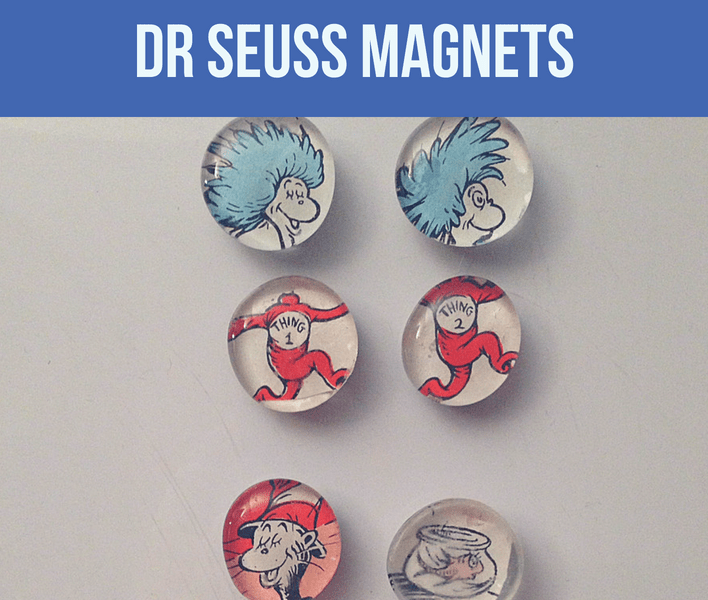 These Dr. Seuss magnets are what you get to win in the giveaway. These were so easy to make. So if you don’t win you can make them yourself by following the directions below. Pick your favorite children’s book that you would like to use. 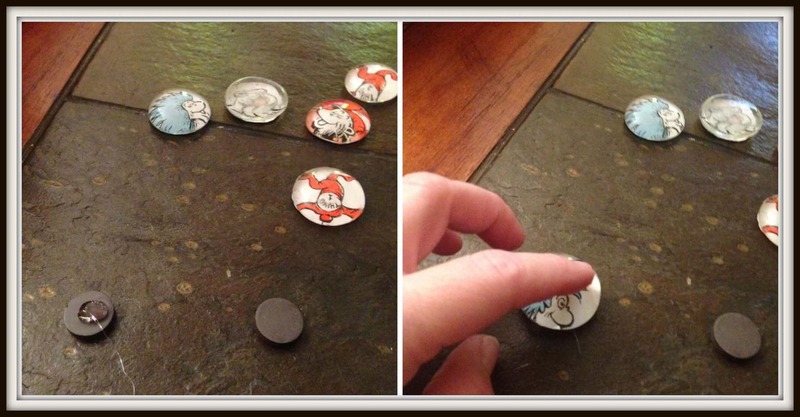 Make sure some of the pictures are small enough to put under the glass marbles. 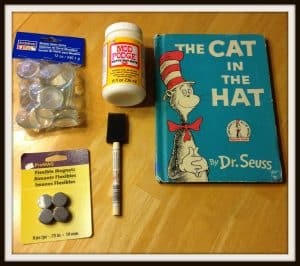 You will also need Mod Podge, a brush, magnets, and glass gems. I bought all of these supplies at Michael’s. You can get the glass gems at a dollar store also. They are near the vases. You will also need a glue gun. 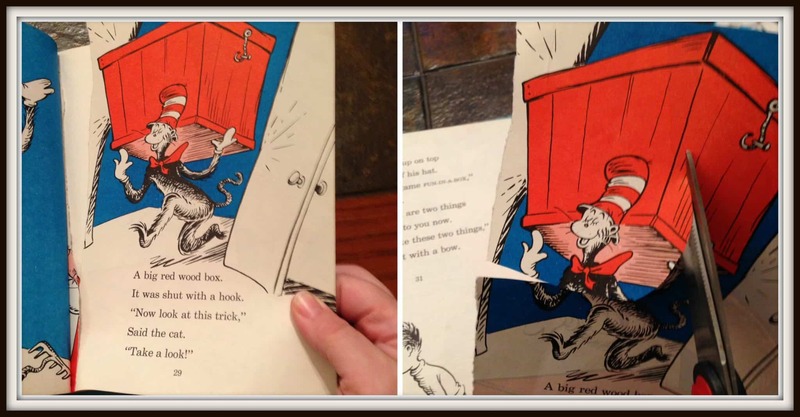 First, find a picture out of the book and cut it out. I cut out a little extra so I had plenty of room to fit it on the gem. It was a little difficult to cut up such a beloved book but, it was an old book. I have another one that is newer. You can look around at resale shops for really inexpensive books. Second, you will place the gem on top of picture and cut off the excess. 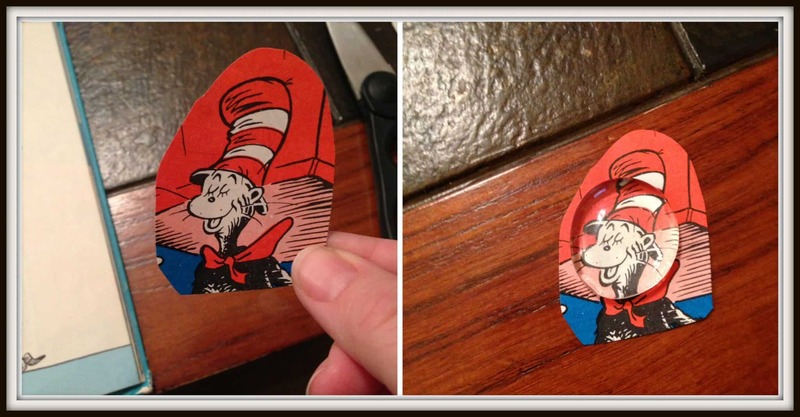 Then you will brush the Mod Podge on the back of the picture and stick the picture to the flat side of the glass gem. Next brush the Mod Podge on the back on the gem to make sure the picture stays in place. Set them aside to dry for a while. I let them dry overnight. My daughter had to make her own magnets. 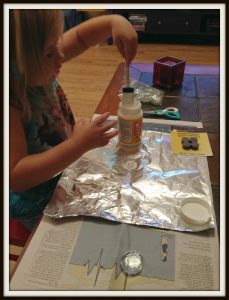 She loves using the Mod Podge. Lastly, You will put a dot of glue from the glue gun on the back of the magnet and then push the gem on top of the magnet. Let it dry for a minute and they are done. OH MY GOSH! I LOVE THESE!!!! I would LOVE LOVE LOVE to win these! 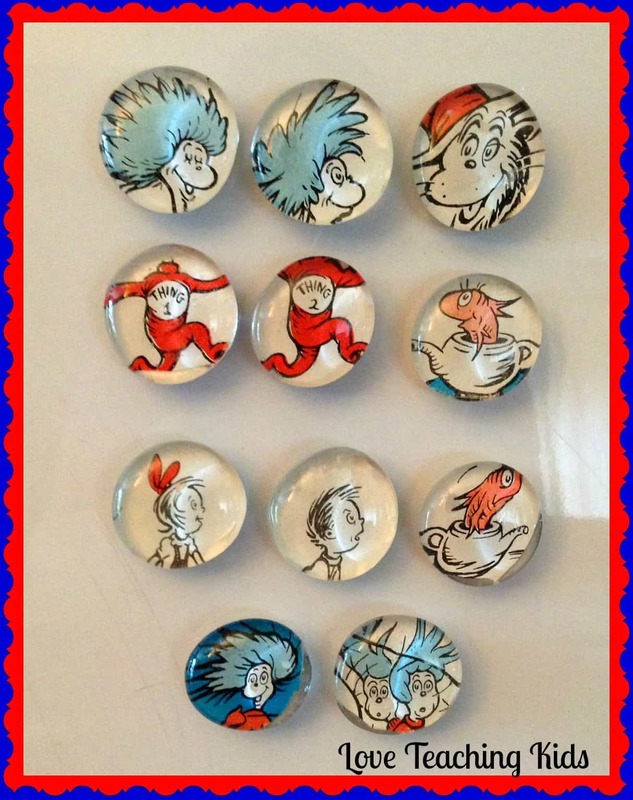 I have a white board in my homeschool education room and these would be SO perfect for that! I absolutely LOVE these!!! You did an amazing job! I LOVE LOVE LOVE these! 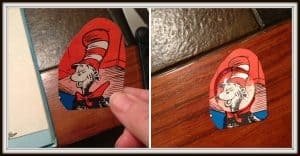 I was cringing at the thought of cutting up a book, but the results are stunning and so worth it! I am going to scour through our books and find those that are in need of a ‘makeover’ and new chance at life! 😉 Thanks for the great directions- and idea!